It is known that tumors develop mechanisms to escape from the immune system and to inhibit antitumor responses. The aim of this study was to retrospectively assess changes of host immunity in relation to efficacy in liver cirrhosis (LC) patients with advanced hepatocellular carcinoma (aHCC) treated by combined intra-arterial chemotherapy. 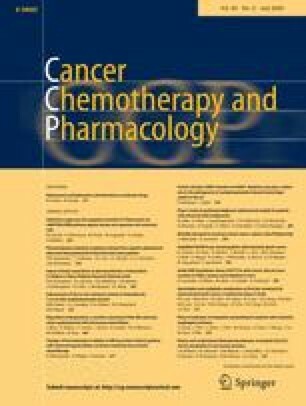 Thirty-seven adult Japanese LC patients with aHCC were treated by intra-arterial combination chemotherapy. The control group was composed of 19 adult Japanese patients with chronic hepatitis C diagnosed by pathological examination of liver biopsy specimens. All control patients were stage 1 according to the fibrosis score of Desment. Ten of the 37 patients (group PR) showed a partial response and 17 of the 37 patients (group SD) showed stable disease, but 10 of the 37 patients (group PD) showed no response. There were no significant differences in the percentage of Th1 cells between any of the groups either before or after chemotherapy. The percentage of Th2 cells was significantly higher in group PD before and after chemotherapy than in the control group (P < 0.05 by Tukey’s test). Although there was no significant difference, the percentage of Th2 cells was higher in group SD than in group PR. The percentage of Th2 cells increased in LC patients with aHCC as the efficacy of intra-arterial combination chemotherapy decreased. These results indicated that intra-arterial chemotherapy might be not useful for patients with aHCC, because it induces Th2 dominant host immunity.